Many of us are working hard to ensure we complete all those resolutions we set for ourselves. Perhaps the most common New Year’s resolutions take the form of health goals. We are happy to report that the more research goes into it, the more it appears that the fable of red wine being good for your health appears to be true. Take a look at our five ways in which red wine can help you achieve your health goals this year. 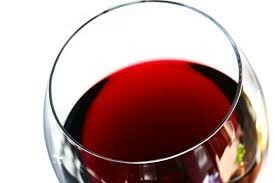 Red wine is a source of resveratrol, a powerful antioxidant. This antioxidant is packed full of benefits that can boost your cardiovascular strength, which can result in improved muscle strength and physical performance. These are the same signs that those who go to the gym regularly display. However, everything is only good in moderation, so don’t switch the treadmill for a glass of wine. Instead, try to establish a healthy balance between the two. The tannins present in red wine (in other words, the stuff that gives it its colour) are known to be a source of procyanidins. These are a natural source of protection against cardiovascular disease. This, coupled with the presence of resveratrol, helps eliminate blood clots, thus reducing the risk of strokes and heart attacks. 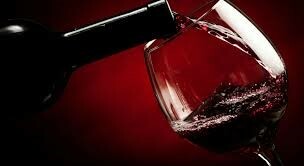 Research has suggested that one glass of red wine per day can reduce the risk of blood clots by up to 50%. Researchers aren’t 100% sure about exactly how this works, but there have been notable results to support the theory that quercetin (another antioxidant found in red wine) can kill off cancerous cells. It is suggested that quercetin helps promote the natural death of certain cancer cells, including those that cause cancer of the colon. A study conducted over the course of 29 years showed that red wine drinkers have a mortality rate that is 34% lower than that of vodka or beer drinkers. Researchers think that this could be attributed to resveratrol, as the antioxidant is known to safeguard against chronic diseases. While this has not yet been sufficiently proven, there is evidence to suggest that red wine can provide drinkers with some sort of memory protection. Again, this is due to the presence of resveratrol, which protects the body from cell damage, thus minimising the effects of age-related memory decline. See? Red wine can form an integral part of your health goals for 2016. However, remember that moderation is key, so keep that in mind when you settle down with your glass of red wine tonight.